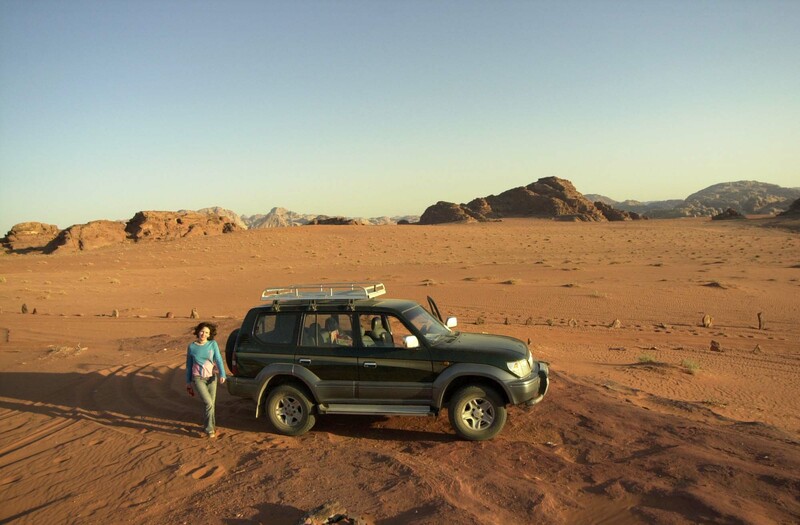 I spent nearly six years crisscrossing the Middle East in this 1998 Toyota Prado Land Cruiser covering a distance of 500,000 kms with hardly a problem. I changed the oil, oil filter regularly, and the fan belts a couple of time. One time in Dubai the engine was cutting. It seemed like a spark plug problem. I took it to have them changed and we found one of the cables connecting the spark plugs was wearing out. All the others were fine. I had that changed (for about $5). It is the only time I had any trouble with the car and it could hardly be called trouble. I drove from Kuwait into Iraq and all around the south of the country several times, across Saudi Arabia (10 times – 3 back and forth across the north from Kuwait to Jordan and back, and twice along the east coast from Kuwait to the UAE and Oman and back). 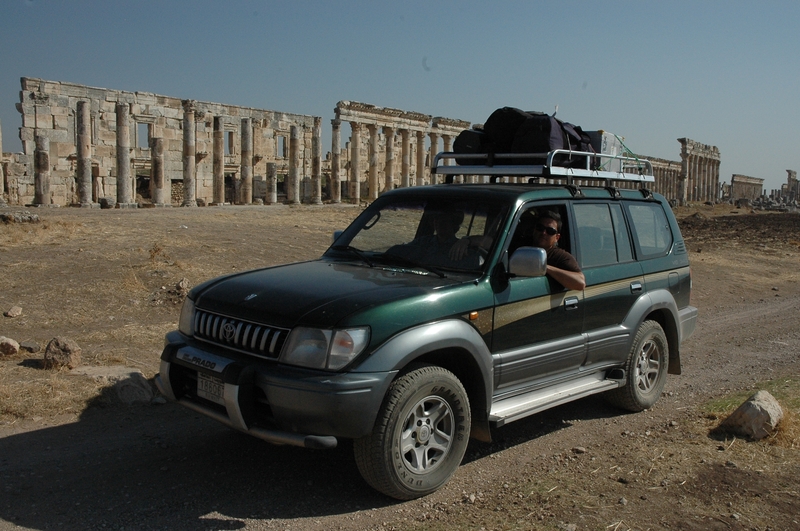 I toured all of Jordan, Syria, Lebanon, the Sinai Peninsula in Egypt, and all of Turkey (a huge country) and from Turkey I entered into northern Iraq several times. And never a hitch. This vehicle started first time every time and just purred along, all day, all night, all year and in all weather conditions – from the freezing snowstorms high in Lebanese and Turkish mountains to 50C plus temperatures and blasting sandstorms of the Arabian peninsula deserts. AC full blast in the heat, heater full blast in the cold. Nothing affected this baby. I may have just topped up the coolant once or twice, just for the sake of pretending I was taking care of it. I’ve slept in it, on top of it, underneath it and in shelters attached to it. I carried four people plus myself comfortably including all the heavy duty equipment and survival gear a filming crew would need in a desert or hostile environment. The car was packed and the roof loaded, and this car just purred along. On other occasions there were seven of us in airconditioned comfort. I used it to pull out several other cars that got stuck, and I always outlasted other vehicles I was travelling with because of its fuel economy and double petrol tanks. It ran on fuel bought on the side of the road in Iraq that smelled more like stale cooking oil. The Toyota Prado Land Cruiser is King of the road. No other vehicle compares to it. It was my home, my transport and my security crutch in some of the most hostile environments on earth. And it made it look easy. No wonder I was heartbroken when it was stolen in September 2009 in Lebanon. To this day, every time I see one on the road I have a pang of longing, and I always give way. Respect to Mr. Toyoda and his family for creating such a marvel. I’d dreamt of driving the vehicle to Toyota in Japan to say thank you personally. Alas that will not happen in this vehicle. But I do want to make the trip, and a plan is hatching to travel overland to Japan and buy one there and drive it back!